Route du Van, as reported previously is the joint adventure of Tod Dexter and Ian Bird and their families, and the aim is to produce wines for everyday drinking pleasure. 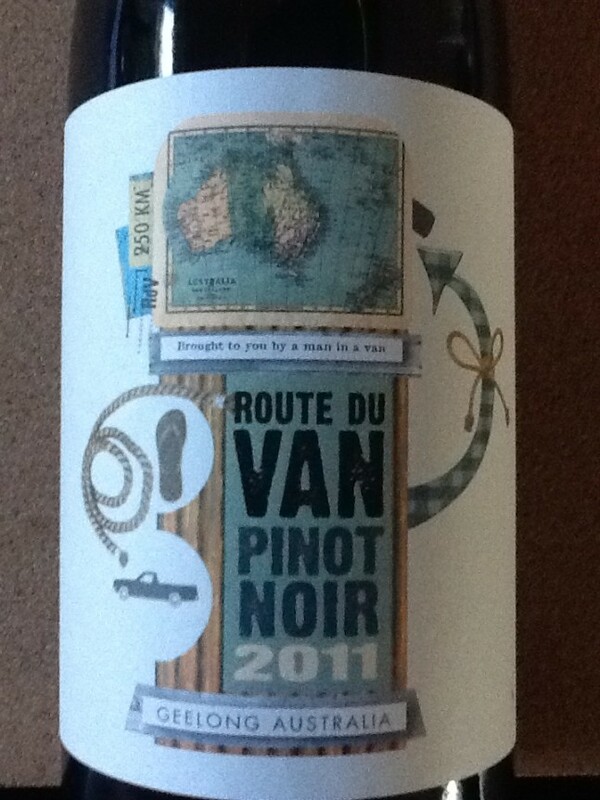 The Route du Van Geelong Pinot Noir 2011 is light to medium bodied, with soft ripe juicy strawberry fruit characters, supple texture and some decent persistence, which at its recommended retail price of $A20 a bottle simply over delivers on the price to quality ratio. Drink now, over this Christmas, with everything from smoked salmon to roast bird. It could also stand being ever so slightly chilled. You don’t get great Pinot Noir in this price bracket, and many simply lack much more than a suggestion of varietal provenance. This wine gives much more than that, and I’d be happy with it as the “house wine” any time. I am it has to be said, a Pinot Noir tragic, having been seduced many years ago by its charms. She has been a cruel mistress, a bit like golf in some ways, where the odd good shot keeps you coming back. Pinot at its best is worth whatever you pay for it, but the sense of loss and unrequited desire when you pay heaps for one that doesn’t work for you is just so disappointing; by and large there isn’t a lot of Pinot at the inexpensive end of the market worth experimenting with. When a little gem like this comes along, take the opportunity.